Sigh! We all love pink don't we? It's amazing how this one shade can be so versatile and be used up in so many different ways and can never go wrong! I made a feminine all occasion card with shades of pink. 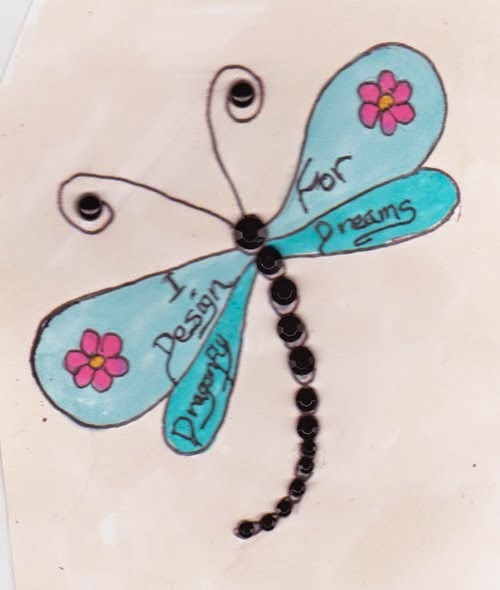 I used a digi stamp provided by the blog crafter's cafe as part of DT. Can you believe that I used simple sketch pens to color this image? no copic or any sort of marker! effective isn't it? Those tiniee blue flowers are handmade, shades of more pinky handmade mulberry roses and I used a feather in my project for the first time, background has effect of heidi swapp color shine spray. experimented for the first time, I am impressed how little elements can really make a difference in a project! Very pretty card. Love the bright colors! Thanks for sharing with us at 2 Crafty Girls. Lovely card. I love the colors and style too! 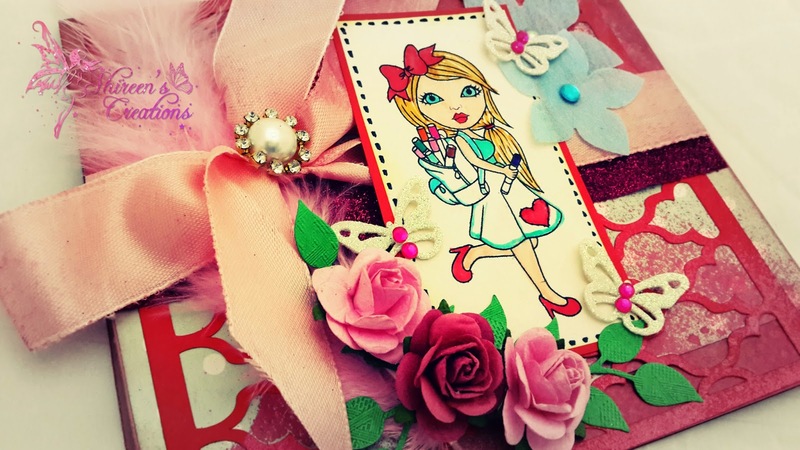 Thanks for sharing with Crafting from the Heart! Great card and so pretty. All your embellishments are beautifully balanced. Thanks for joining in at Crafty Boots Challenges this time. 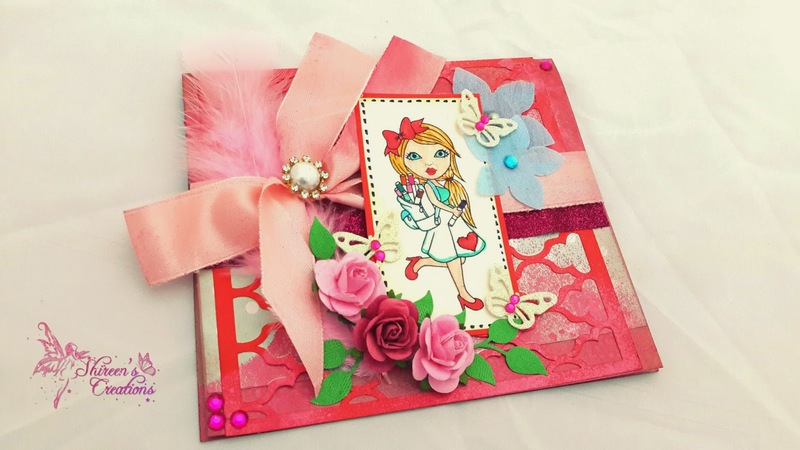 Beautiful card, I love the big pink bow and the fab flowers. Thank you for sharing your work with all of us at Crafty Boots Challenges. This is so cute, and beautiful. thank you for playing with us at CSSC. 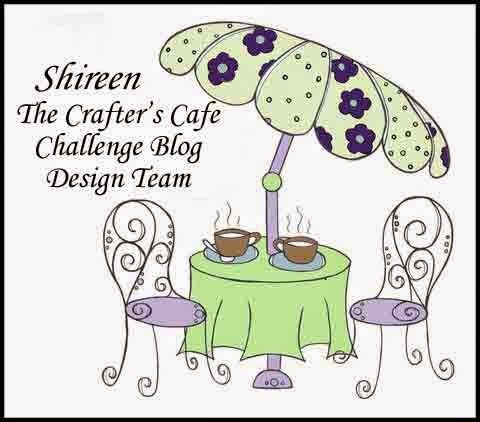 This is such a beauty Shireen!Thank you for sharing with us at Lulupu Challenge#49. Good luck! Lovely creation! I love bright colours and flowers! Thank for playing at Card Mania Challenge. Very sweet card! Thanks for joining us at CSCC #14! Beautiful card! Well designed and so optimistic! Yuor handmade roses are sweet.